Every day of every month at GQ, we start your morning on Instagram with visual advice on What to Wear Today. But we want to go deeper. Give you the nuts and bolts of how to get the look into your wardrobe. This month it's all about business casual, and today we're showing you how to wear a suit when you have no intention of doing any work whatsoever. For a nice dinner or night out, skip the tie, socks, cufflinks, and ubiquitous white shirt you associate with work-wear. 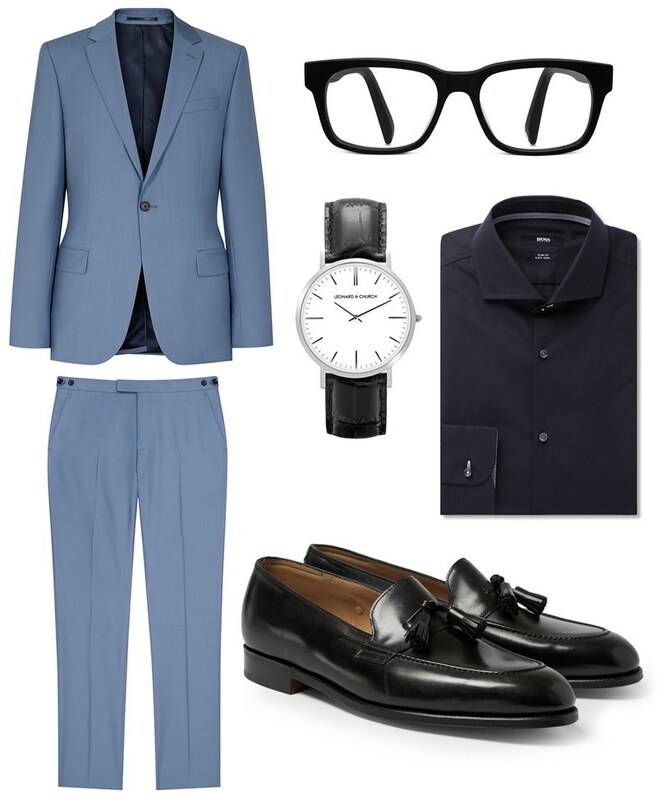 Instead, wear your favorite gray or blue suit with a black shirt unbuttoned at the neck and a few luxe black accessories—loafers instead of oxfords, and a watch or a pair of thick-frame glasses. Whether you’ve braved the brunch crowd or met up with friends for supper instead, tone down your go-to neutral suit with a v-neck T-shirt, a pair of white kicks, and a few classic summer accessories for Sunday afternoon. You’ll look appropriately chill while making your buddy in jogger pants wish he stepped up his game a little bit.